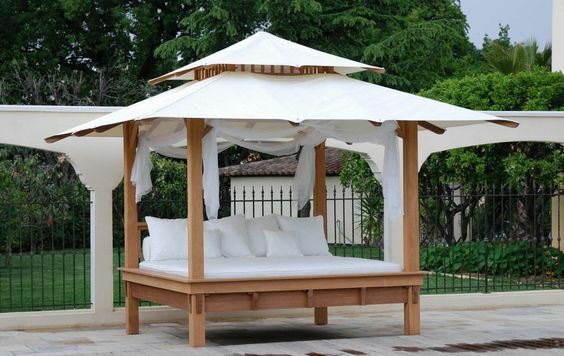 If you wish to add up to your utmost backyard relaxation, then you definitely need some bed over there. 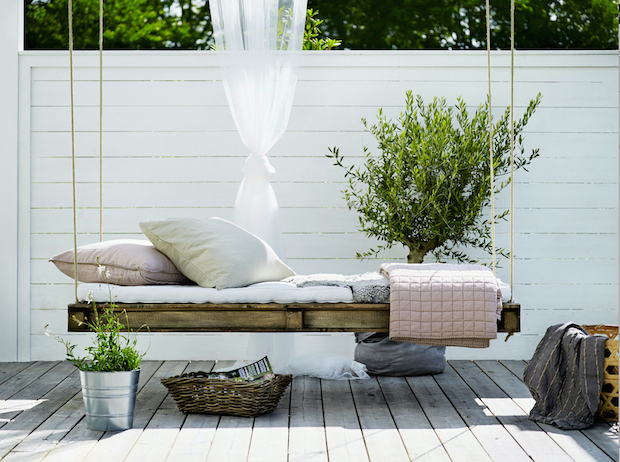 Outdoor daybeds are what we all need in our yards for the summer days. 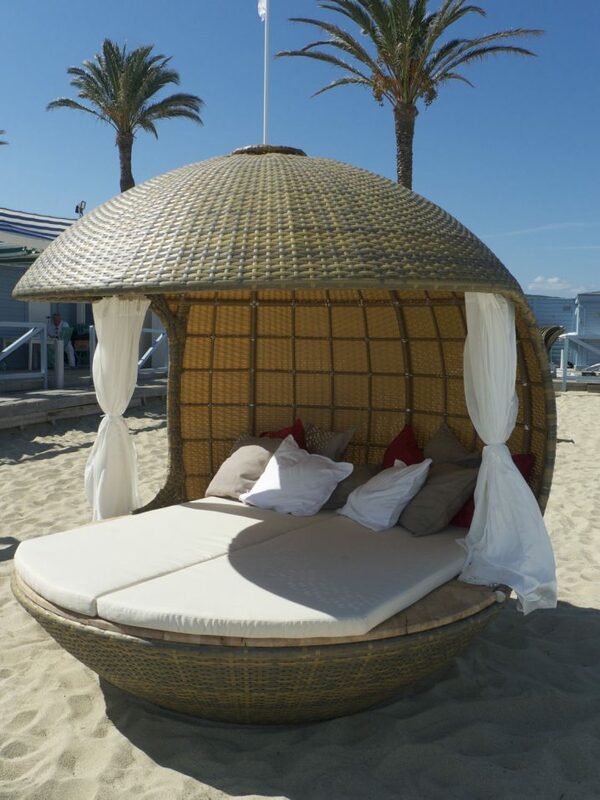 These beds will give you the chance to enjoy and relax in the beautiful weather. 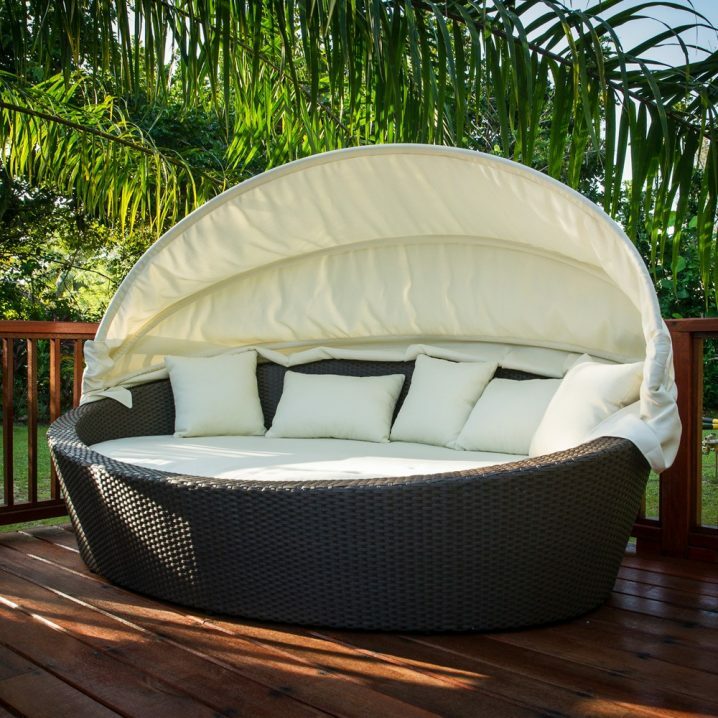 Once you add one such bed in your backyard, you will agree with us that relaxing on an outdoor bed is a way more better than on the bed in your room. This is because, while being outside you are taking some fresh air and thus clear your min, body and spirit. 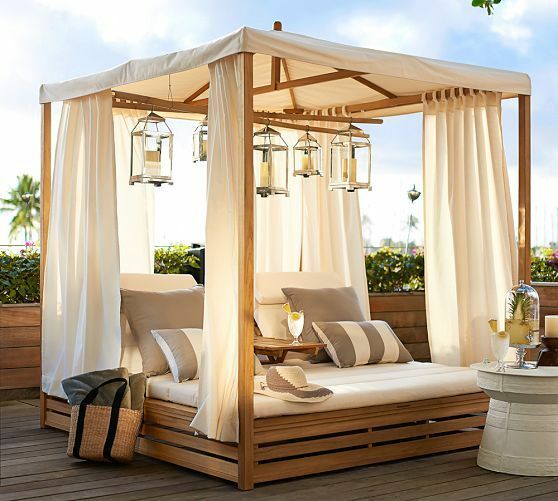 These outdoor daybeds can bring the lovely charm of a vacation home as you take in the many sights and sound outside while drinking your favorite cocktail. 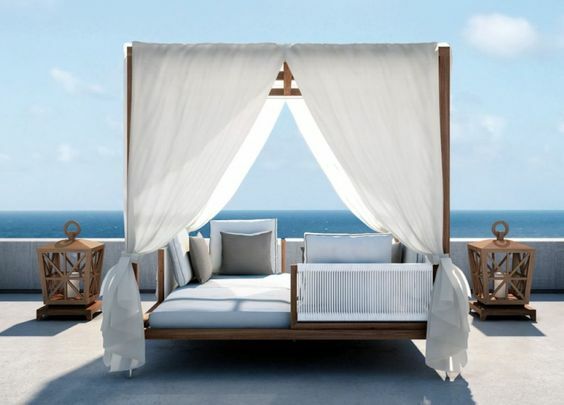 They can be found in versatile styles and shapes, so there is definitely a daybed for everyone’s taste. 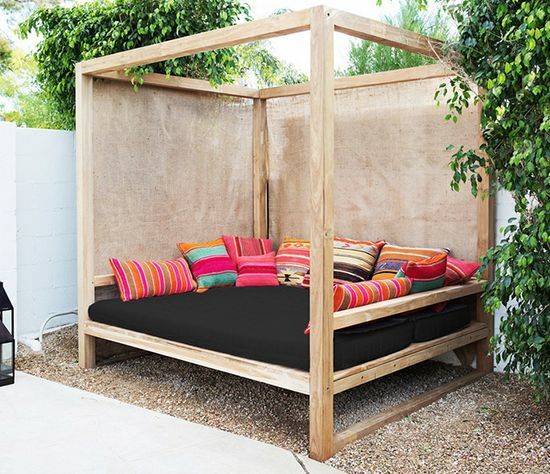 Below, we have chosen several outdoor daybeds to inspire you to add one into your backyard too. Check them out! 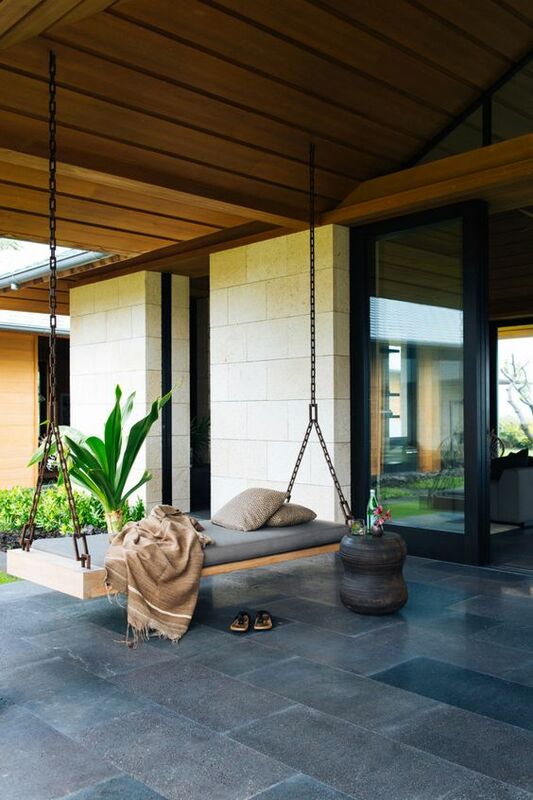 These daybeds vary in style and shape. 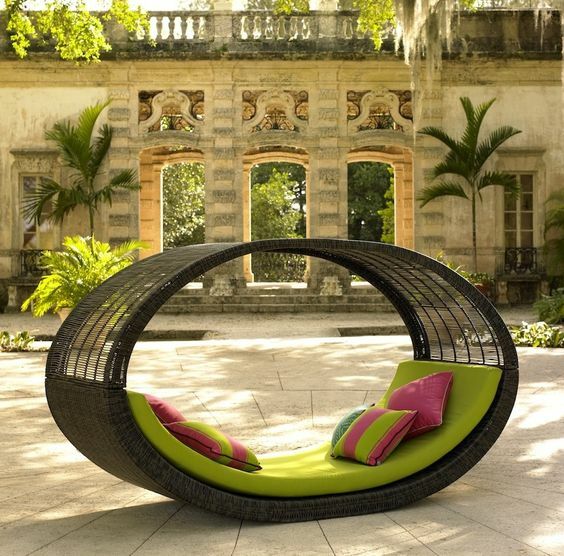 Some are canopy beds, other swing, some rounded and other squared ones. But although they are different in style and shape, they still have something in common. And that is the utmost relaxation they provide, which will make spend more time on them during the summer. Add many pillows to make it more comfortable. And of course, place a small table close to it where you can leave your favorite cocktail. 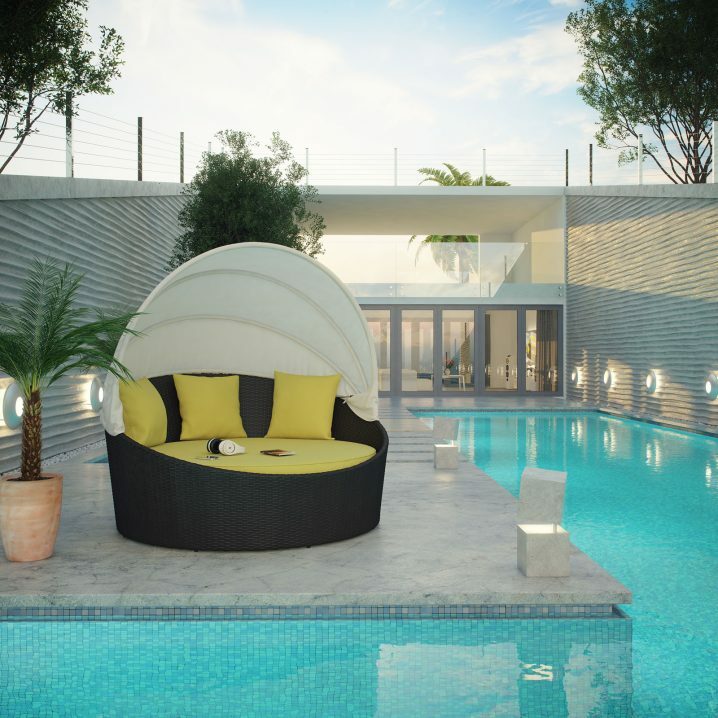 Trust us, you won’t be able to leave this lovely paradise. 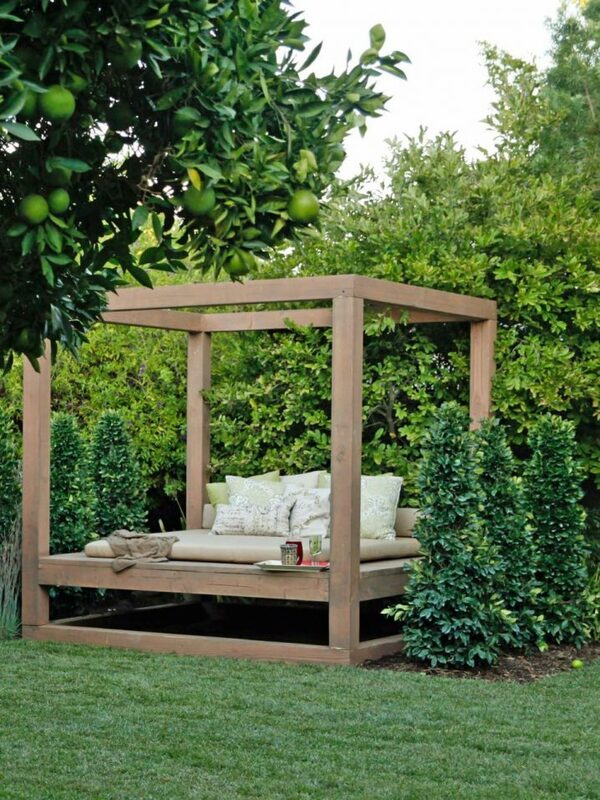 Some of these beds can have shade included and others can have open top. 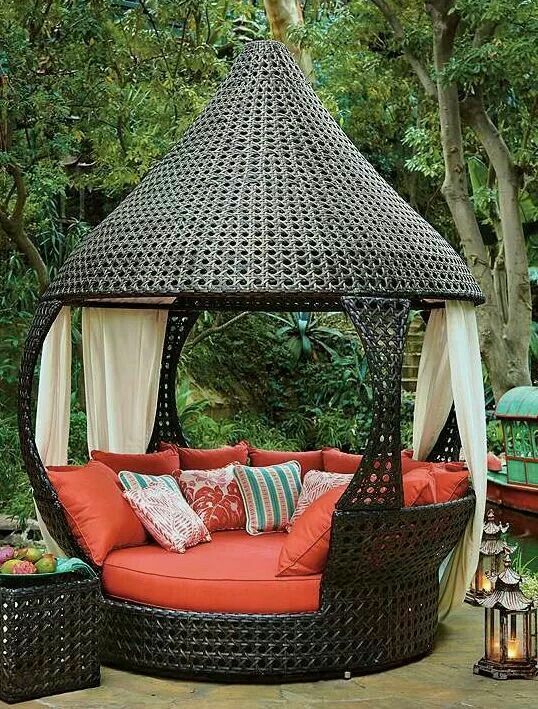 The ones that are open can be placed somewhere on the patio, the covered one, so that you can be in shade while relaxing on this bed. 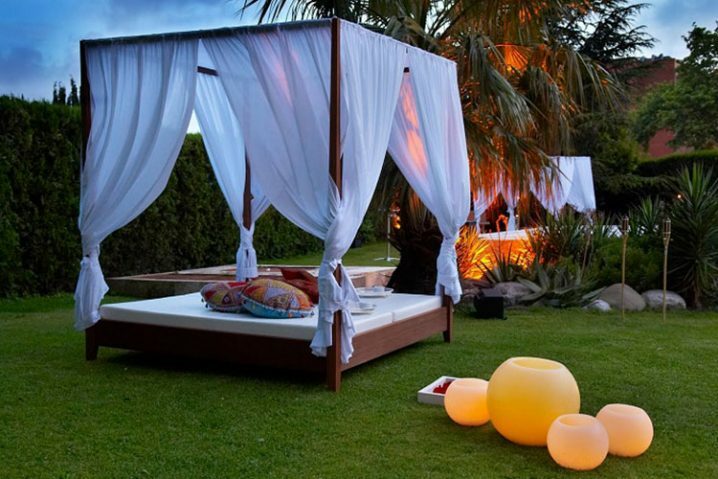 You can even add some lanterns or string lights to create a truly romantic atmosphere. 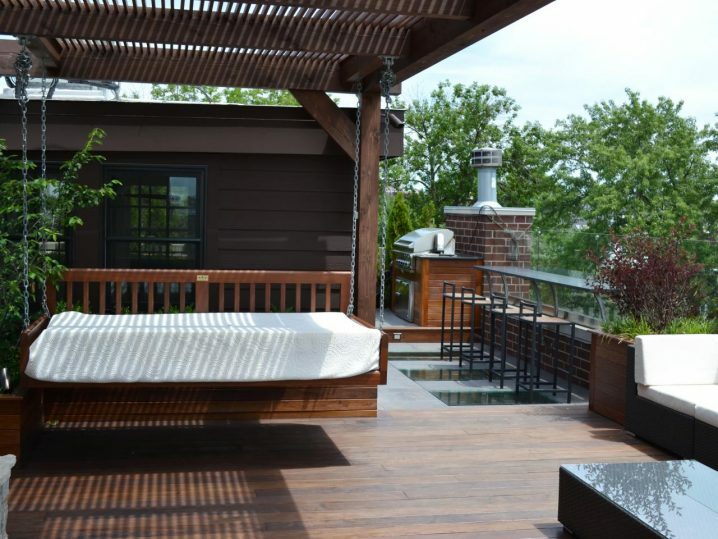 So, which one from the above outdoor daybeds, did you like the best? 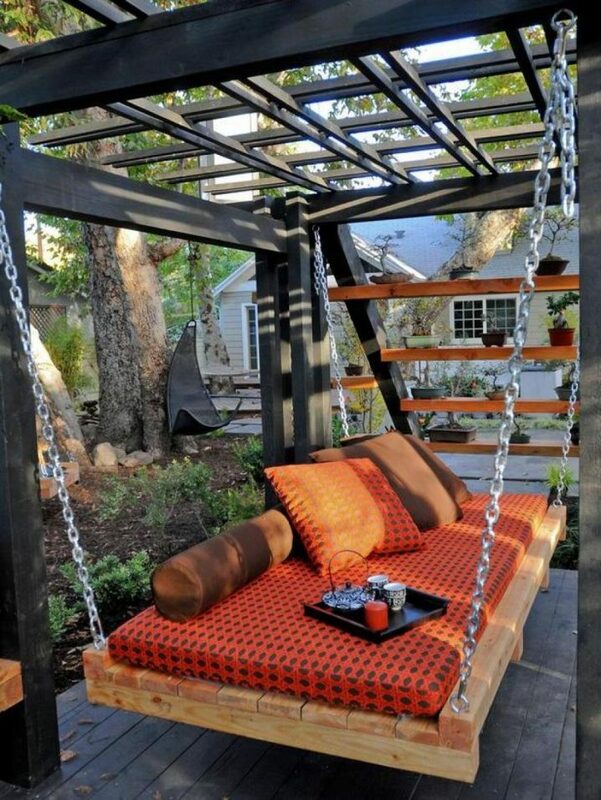 Tell us in the comments and do not hesitate to add one such bed in your backyard too. 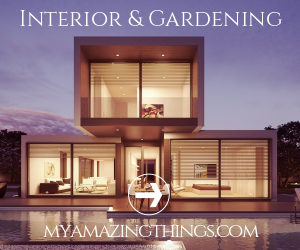 Thank you for reading and don’t forget to stay up to date with the content of Top Dreamer to find many other ideas for outdoor space decor.